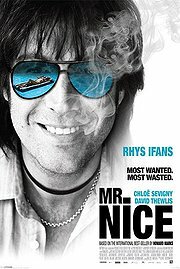 Danish E-Journal reader Martin Liechti spotted go in the new film Mr. Nice, a 2010 crime film – now in limited release in the U.S. – about Howard Marks, a notorious Welsh drug smuggler played by Rhys Ifans (a friend of Marks in real life) and also starring Crispin Glover and Chloë Sevigny. 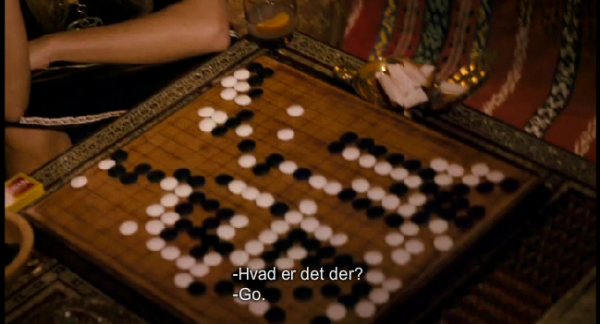 Liechti sent us this screenshot of a scene in which a woman is sitting by a goban. The Danish subtitle says: What’s that?